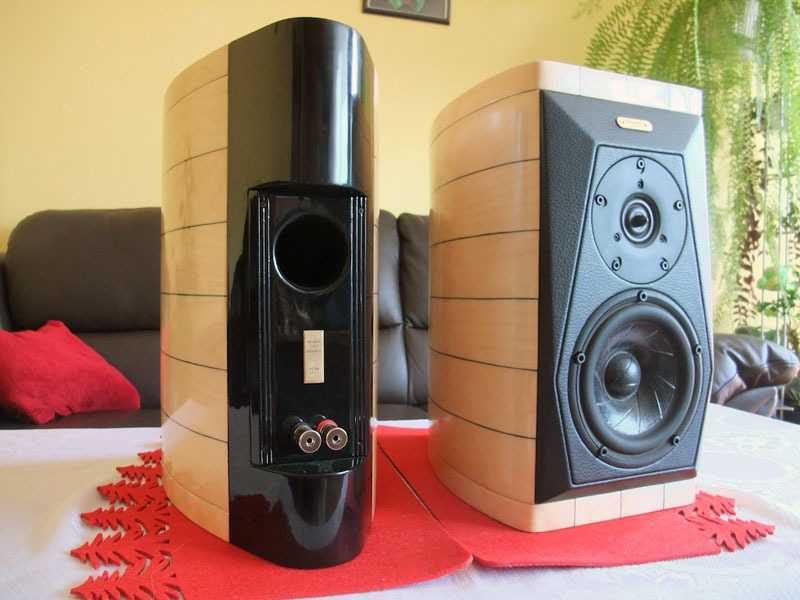 Two years ago I had seen photos of Sonus Faber Guarneri Memento/Homage speakers and I wanted them ever since. 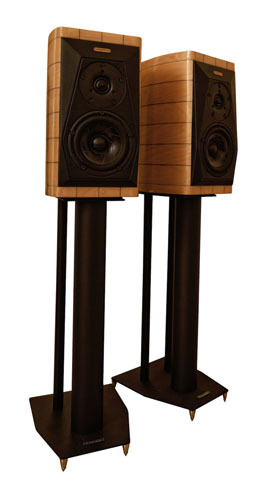 Since they cost around $15,000.00 it was doubtful that I would buy them anytime soon so I decided to build them myself. 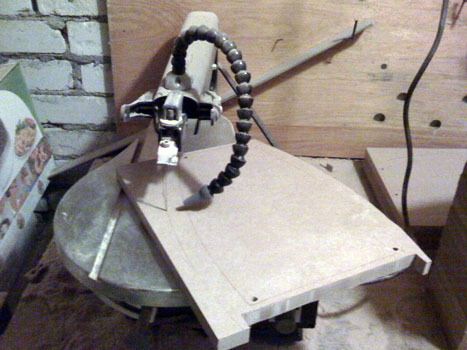 Unfortunately I had no experience nor tools for building DIY speakers. 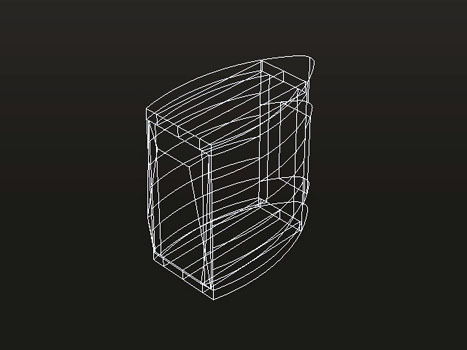 I never used CAD before either. 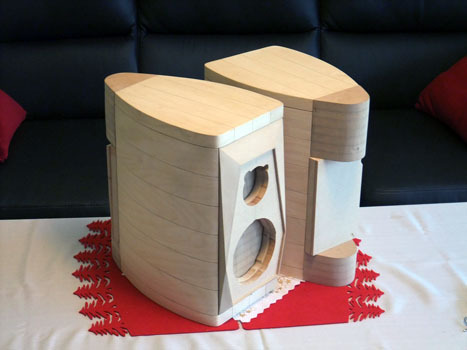 I never even saw the SF Guarneri Memento/Homage speakers in person, only on photos online. 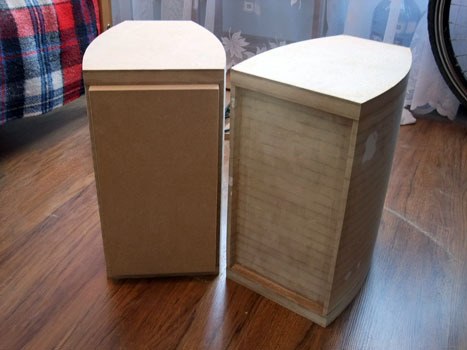 I have designed the cabinets in CAD to my liking and I made them from mdf cut on scroll saw (it was the only power tool I had at the time). Enclosure is damped with 2mm bitumen pads/10mm felt on all walls and lamb wool on top/bottom/back. 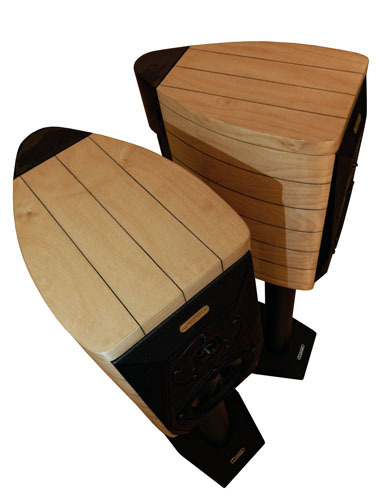 Speakers are mounted using drive-in nuts, driver holes are chamfered which made audible difference. 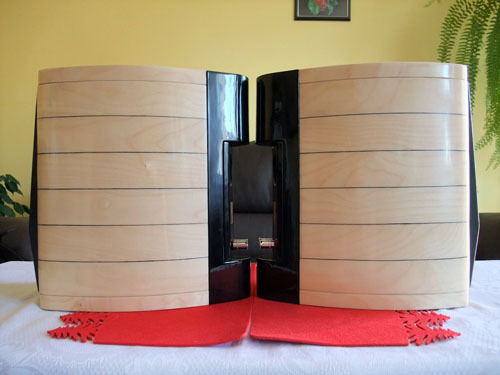 Bass reflex was customized from Monacor BR-50HP and is glued to the inside of back plate. 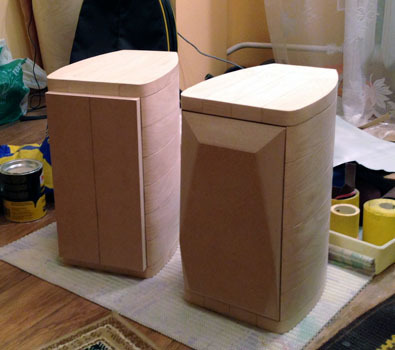 Speakers were hand painted to high gloss and polished with a drill + polishing pad. Crossover parts are Jantzen Standard Z-cap/Jantzen SUPERES/Jantzen Wire air coils. 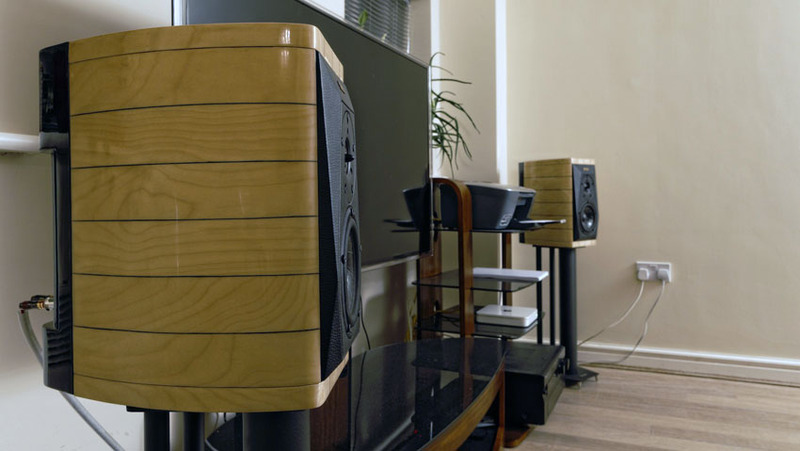 I have chosen your Ellam-XT design because I found a lot of good reviews about it (and the drivers that were used in them) and as a bonus they look similar to the drivers in Sonus Faber Cremona Auditor. 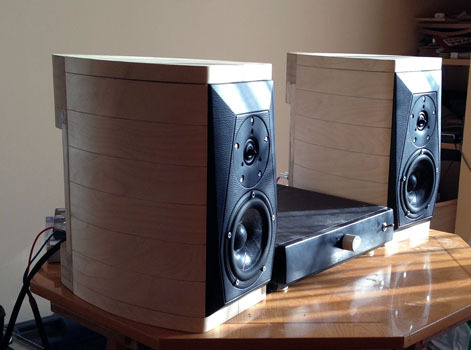 I realize that it is not a perfect copy of your design as front panel dimensions/drivers placement/cabinets shape are different (internal volume is roughly the same), but it's still your crossover I'm using (and loving it) so kudos to you. I'll probably measure it (I made a few measurements already) and play with the crossover if there's anything that needs changing (once I learn how to do it properly), but it sounds superb so I don't really have motivation nor time to do so right now. 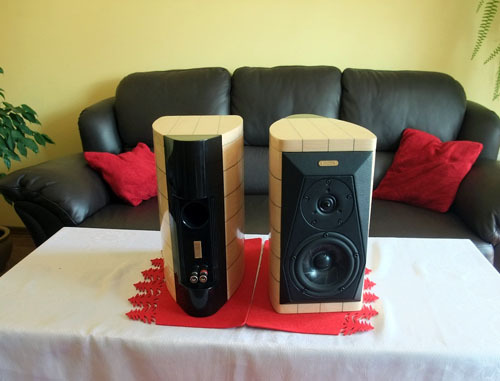 The speakers are a wedding gift for my brother and I still need to make another pair for myself. Thanks for your hard work and keep it coming.